There are numerous key industries today which demand greater quality and performance in variable frequency drives for motor system control. Whether it is for automated systems, HVAC, water systems, or any other type of operation, we at Bauer GMC strive to provide top of the line quality and service. As such, we partner with the industry leading Danfoss VFD. We are committed to increasing the efficiency, speed and safety of any operation while offering very competitive costs. Industries all over the world employ Danfoss VFDs, counting on the company’s sterling reputation for manufacturing top-quality drives and trusted products. Versatility - They can be built to suit unique applications and uses. Longevity - Most of these drives are built with excellent durability to last. Performance - Danfoss drives are well-known for excellent performance. 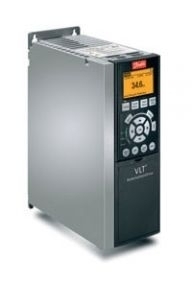 The Danfoss VFD can be an ideal component in almost any operation. Relying on our long-standing experience and expertise, we will be able to help you find the right drive for motor system control in your operation – just call or visit Bauer GMC today.